Vinay (Vinny) Rajput doesn’t look like a man who is in the middle of a closing down sale. 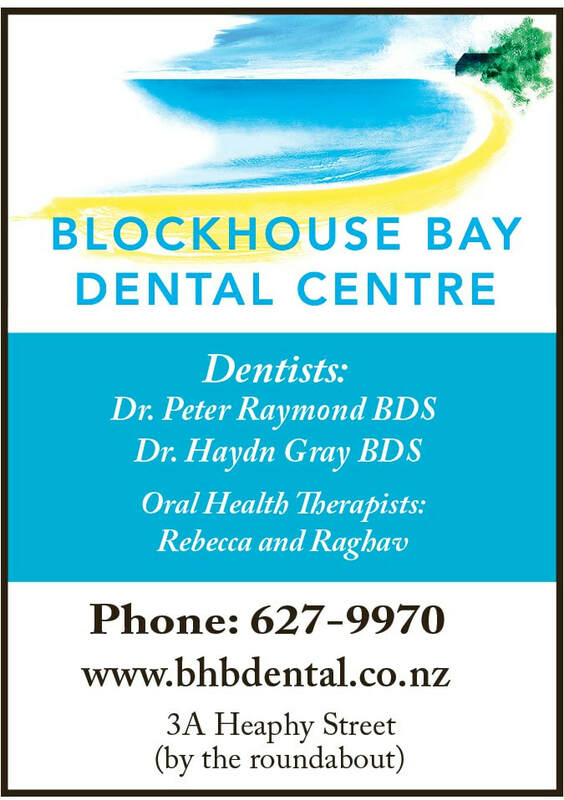 He is an irrepressible optimist who just loves being around people – and especially in Blockhouse Bay! Even while he is selling off all the DVDs from his United Video franchise, he still has a steady stream of customers coming in to buy Lotto tickets and he is already planning his next business start-up in the store. In the interim he is also selling ducting to electrical contractors who are installing UFB fibre. Vinny and his partners bought the United Video store in 2015. Then it was a thriving business averaging over 500 customers every week and even busier in school holidays. But the good times were short-lived, and within 18 months DVD rentals fell dramatically as digital content options grew stronger and more people signed up to services like Netflix and Lightbox. YouTube has also been changing viewing behaviour for years, and with 25+ TV channels free-to-air and TV on demand services, even SKY TV has been losing subscribers. Recently the business has been averaging about a dozen customers each week and less than $100 in hireage. Reducing his floor space and selling the Lick Ice-cream business has not been enough take away the need to restructure, so it really is time for a change. Closing down sale. Get a bargain while stocks last. Vinny says "I feel really sad and the customers are sad - people used to come here with their parents and they have a lot of memories of this place." Who knows if DVDs will make a come-back like vinyl records and film cameras? Certainly, there was a lot of nostalgia when the last Blockbuster Video store in the USA closed last year. 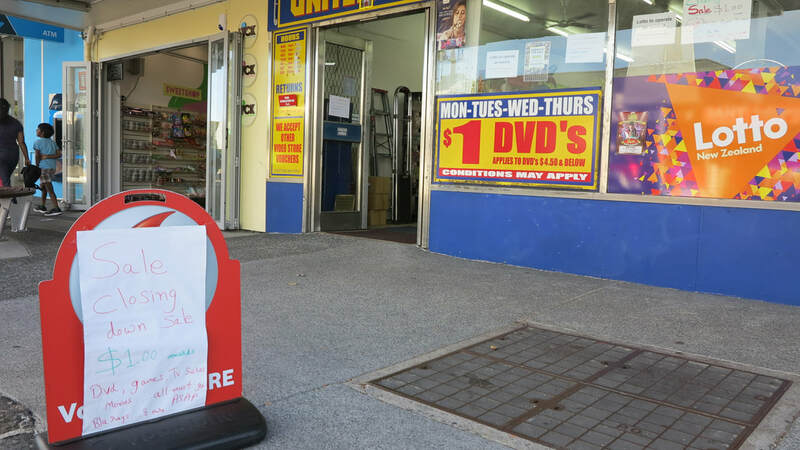 The Blockhouse Bay store is one of less than 20 United Video stores left nationwide. Others are closing and the franchise is no longer operating in NZ, so the stores are just operating independently. Liquidating his stock of 50,000 DVDs is helping Vinny to finance his next start up. He wants to stay in the shop and continue to serve the local community. Vinny has had a long journey to get this far. His family migrated from India to Zimbabwe in 1997. A chemical engineer by trade, he worked in the family plastics business. 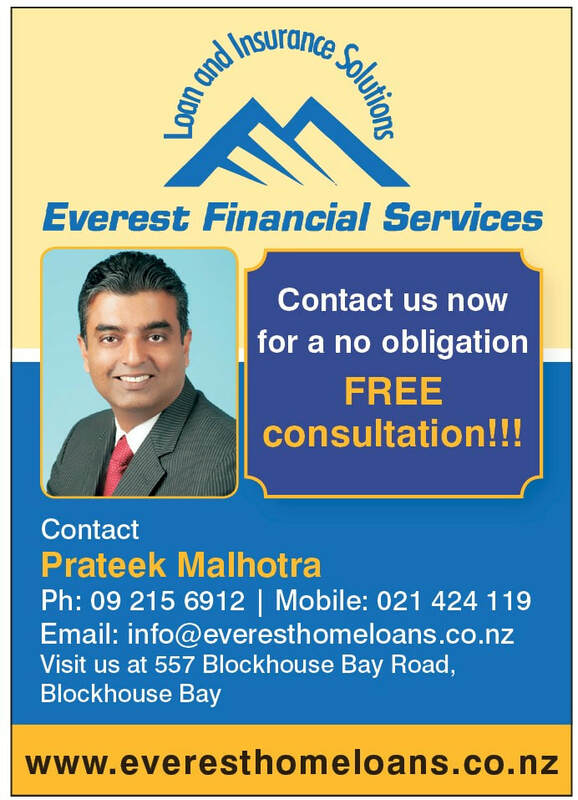 The move to NZ came in 2002 with Vinny, his wife Harsha and 14 month old son Hershal. They lived in New Lynn and Hershal attended Titirangi Kindy, Arahoe Primary and Blockhouse Bay Intermediate. The family moved to the Bay so that Hershal could go to Lynfield College. It was then that Vinny brought into the video and Lick ice-cream businesses, while Harsha continued to work at Placemakers New Lynn. They love the area and the community, and still have friends from the kindy days. You can’t help but think that the village is about to gain another vibrant business! For nearly eight years, Jan Pitout was well known in the Bay as the Business Association manager, with several years also as editor of Newstalk Blockhouse Bay, the Beacon’s predecessor. 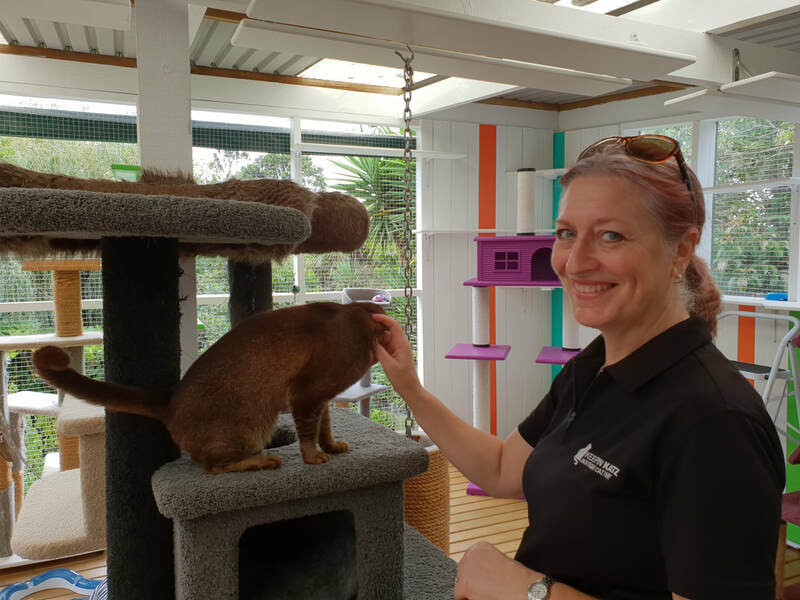 Blockhouse Bay had been a large part of her family’s lives, with her children Dale and Amy students at Lynfield College, and Jan working at Blockhouse Bay Primary for a number of years. Already involved in community events as a face painter, in 2007 Jan was asked to organise the Santa parade, which she ended up doing for the next seven years, and which almost straight away morphed into the manager role for the Business Association. Then in 2015 Jan seemed to simply drop out of sight. So where has she been, and what is she doing now? One often knows when it’s time to move on, and it was time for a new challenge for Jan. She felt she had done what she could in the Bay and when her next challenge presented itself, she knew it was what she needed. The ASB Waterfront Theatre - the new home for the Auckland Theatre Company - was about to be constructed and Jan’s new challenge as administrator for ATC gave her a once-in-a-lifetime opportunity: being part of the setup of a brand-new $37 million theatre from its inception. Jan was enjoying her work with ATC and life was good. Then in April 2016 everything changed for the Pitout family when son, Dale, aged 19, took his own life. Nothing could have prepared them for this sudden tragedy. Dale was, as they later found out, suffering from anxiety and mental health issues, even though to his friends and family had appeared on the outside to be the fun loving and caring young man that he had always been, had sheltered his depression from them and chosen not to speak about his fears. Their lives changed from that moment in a way that only parents who have lost a child could know. ​Moving forward, the couple try to help everyone they can. They often have families approach Andre for help. Andre is passionate about suicide awareness, and runs the Auckland marathon raising money for the Mental Health Foundation. “We’ve had t-shirts printed with Team DALE - Depression Awareness Let’s Educate” says Jan.
​She’s very proud of Dale’s friends who organise an annual Suicide Awareness Cruise. They wear yellow t-shirts and paint slogans on their cars with yellow paint. Slogans such as "Its not weak to speak", and "It's okay not to be okay". They’re young car enthusiasts who gather as friends, friends of friends, complete strangers (to start with) but all with the same thing in common, they all have friends or family who have taken their own lives, or have suffered from suicidal thoughts. By meeting at an event and cruising together in their cars on a pre-organised route, and supported by the Police, they make a difference by spreading the word about suicide awareness and which organisations to approach should you be feeling those thoughts. 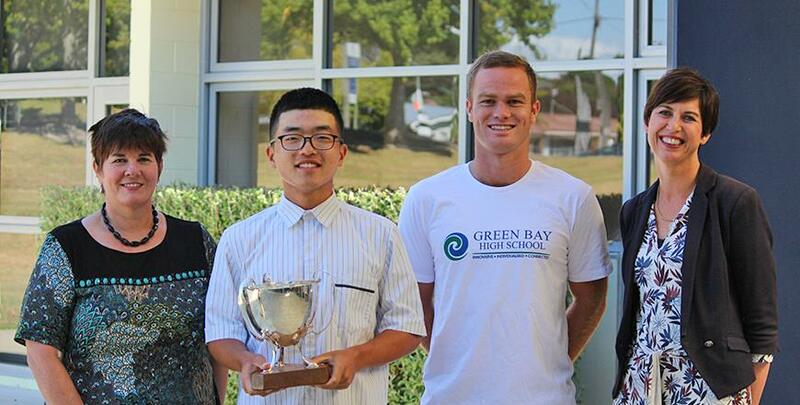 Year 12 Green Bay High School student Jang Hyun (Eric) Lee has won the 2019 New Zealand Amateur Golf Open to claim the biggest win of his young career! Eric is now part of a prestigious blend of professional and amateur golfers who competed in the 36-hole New Zealand Open Pro-Am Championship which was held from 28th February to 3rd March, in Queenstown. The tournament included a minimum field of 140 amateurs playing amongst 140 professional golfers competing for the New Zealand Open title. Eric finished 11-under in the tournament, tying for 23rd place overall which secured him the Bledisloe Cup and New Zealand Amateur Golf Open title. Eric has only been in New Zealand for the past four months and is a member of local Titirangi Golf Course with a +6 handicap. He says the courses in New Zealand are ‘pure’ and he thoroughly enjoyed the competition which was held on two picturesque courses, the Millbrook Resort and The Hills. Following in the footsteps of his father, an avid golfer in his own right, Eric began playing golf in Korea as a six-year-old. He hopes to go on to be successful in the Pro PGA Tour Series China. Caption: Eric with Green Bay High School faculty: Katrina Piezzo - Director of International Students; Hamish Mackay - Sports Director; and Fiona Barker - Principal. Many people in Blockhouse Bay will know her as “Brown Owl”, but that’s just one of the many hats Yvonne Dabb has worn over the decades she has lived in Blockhouse Bay. In fact, she has never lived anywhere else. Born in Taylor Street, Yvonne and her late husband Graeme began their married life in Margate Road, before spending twenty years in Heaphy Street and another thirty in Bolton Street. Yvonne is a familiar figure in the village, often with her little dog Lexy by her side. To some she might also be known as “the jam lady” having manned the Blockhouse Bay Historic Society’s trading table on main street for many years. “The biscuit lady” is another moniker which some might recall her for, as an enthusiastic seller of Girl Guide biscuits in her time with Brownies and Girl Guides. When Yvonne was 12 Girl Guides came to Blockhouse Bay and she joined up. “From then I was involved until I was just too old,” she reminisces. First a Brownie leader, then District Commissioner for nine years, a Pippin leader for a little while, and for fifty years she was known as “Brown Owl”. Yvonne is a clever lady who used her knack for storytelling to great effect with her Brownies and Guides. One time, camping in her back yard, the girls were a bit excited and it was hard to get them to settle. Then the neighbour started practicing his drums. The wise Brown Owl told the girls the neighbour was playing his drums to help them all get to sleep. They were all soon sleeping soundly! At some stage Yvonne found time to have two children and a career, managing several Modern Bags stores including Queen Street, K Road and St Lukes. 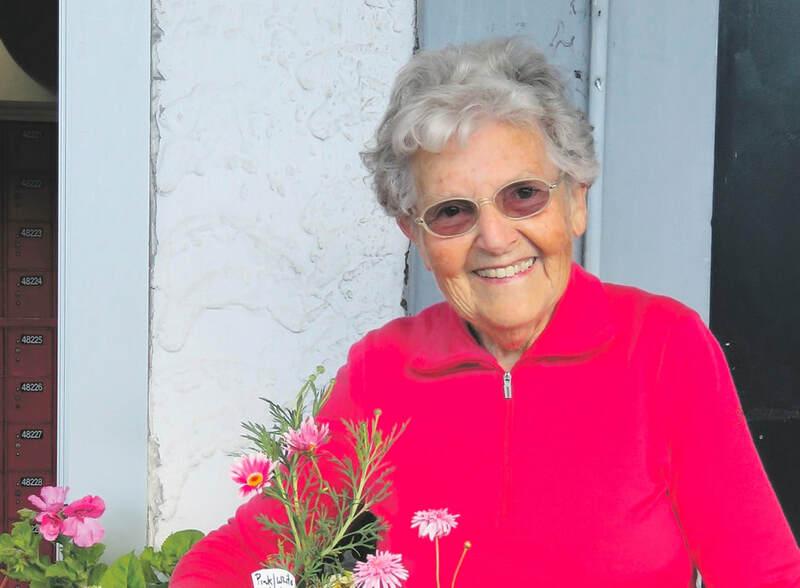 It’s hard to know how Yvonne has fitted so much into her life, and she is still involved in the Garden Club, Ladies Probus and the Historical Society. “If there’s a pie, I want to have a finger in it!” she jokes. Recently made a Life Member of the Blockhouse Bay Historic Society, Yvonne says that when she first joined, they gave her the job of researching the history of the tennis club. With no sporting knowledge whatsoever, that wasn’t her cup of tea at all. However, she was asked to go on the committee and was given the job of running the trading table. “Last time we sold 50 jars of jam!” Yvonne says enthusiastically. “People now come on the last Saturday of the month to buy jams, and they often bring back the jars. I get lots of requests for jams and pickles now as well”, she says with a grin. The profit from the trading table built up over time and the Historical Society was recently able to purchase a computer to use for archiving their records. 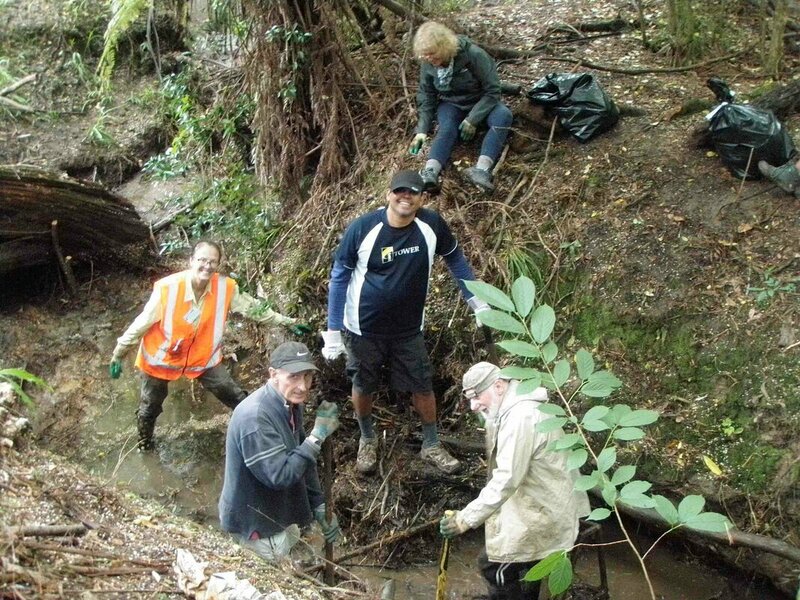 Friends of Wairaki Stream (FOWS) have had a busy summer with two very successful events aiding the rejuvenation of the Wairaki Stream and surrounds. On December 22nd - the weekend before Christmas - the team undertook the retrieval of a very solid trailer chassis and assorted rubbish, including two ancient shopping trolleys. Rubbish they may be, but if they could tell the story of their journey to the stream it would certainly be an interesting tale! Removal of these ancient relics was neither swift nor simple and involved angle grinders, chains and strenuous physical effort by the volunteer removal squad of Andrew, Dianne, Jack, Kathy, Paul, Raj and Viva. As the constricting objects were removed the stream could almost be heard to sigh with relief, uttering a quiet gurgle of appreciation as it rippled more easily through the reserve. Inspired by the success of the pre-Christmas event, enthusiasm for the project grew with twenty people turning up to continue the clean-up on February 16th. This time the focus was on weed releasing (the more difficult ones were placed on parole, in bags, for later sentencing) and more rubbish removal. With some very diligent effort a vast variety of rubbish was located and removed. One can only be amazed at the creativity displayed by some people in disposing of their unwanted items, disregarding the normally accepted methods of rubbish disposal. With two official and two informal clean-ups now achieved, an excellent spirit is building among the volunteer group of locals, whose numbers include Lynfield College students and Puketapapa local board members. The team have been gratefully fortified by lunches funded by the Board, with special mention to Lynfield’s Chilli Bar and Café for providing lovely club sandwiches and nibbles, and a congenial meeting location. The Wairaki Stream is an urban waterway flowing for around two kilometres through Lynfield and joining the Manukau Harbour at Lynfield Cove. An abundance of native bush including ancient ferns can be found along its course, providing a habitat for native birds. It is also well known to locals for its eel and Kokupu (a native fish) populations. It is well worth preserving and enhancing. Volunteer Richard Stirling and his many helpers. 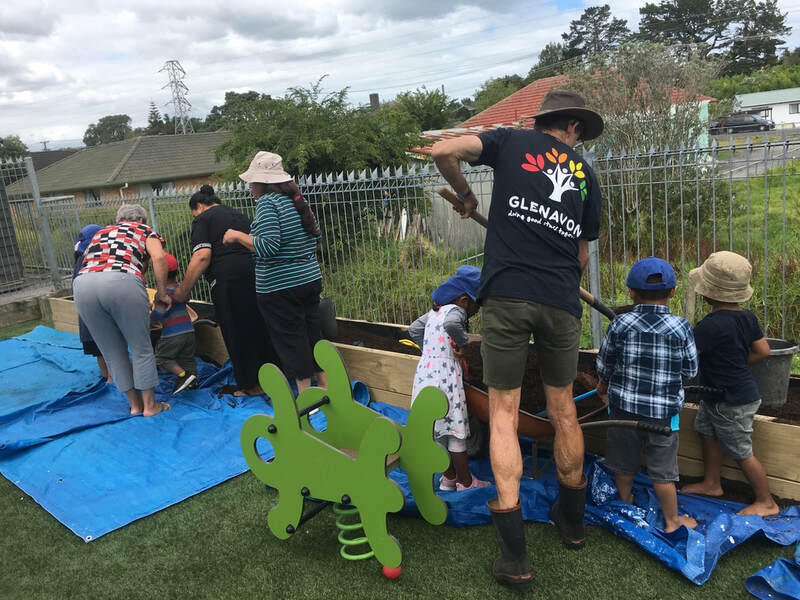 The children and families of the Glenavon Early Childhood Centre will soon benefit from the home-grown produce raised in their brand-new raised garden, thanks to a $500 funding grant from EcoMatters. 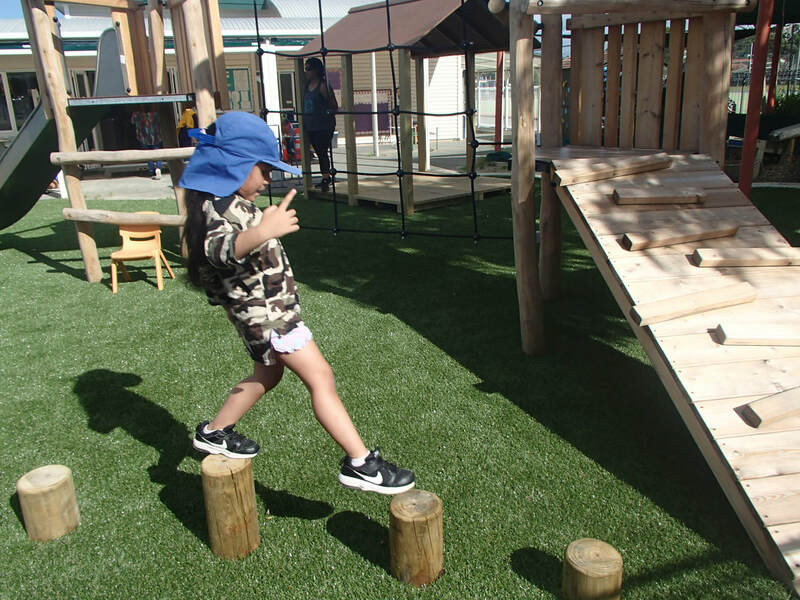 The filling and planting of the planter box was the final stage of the newly constructed outdoor playground complex completed last year and officially opened in December. The planting project was led by local volunteers Richard Stirling and Marjorie Blaiklock with eager help from the children, teachers and parents. GECC head teacher Anu Mysore was also excited for the many learning and development opportunities the garden will offer for the children. The centre’s extensive renovations also included interior modifications, with a brand-new ablutions block and the opening up of the indoor space to provide a large seamless room for the children to access the centre’s resources. 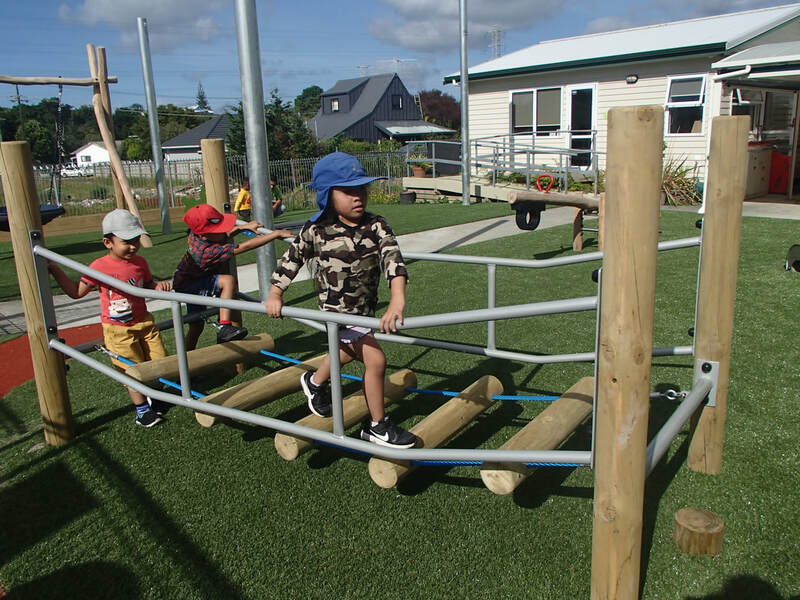 Glenavon Early Childhood Centre is very grateful for the generous funding for the renovations, which included grants from Whau Local Board, TTCF, Pub Charities, Four Winds, Lion Foundation, NZTC and Grass roots. Ann prepares to line up her bowl to get close to the kitty. Since its beginnings in 1962, many locals have been entertained at the Terry Street Indoor Bowls Club, which is now looking forward to their 60th Anniversary celebration in a couple of years. 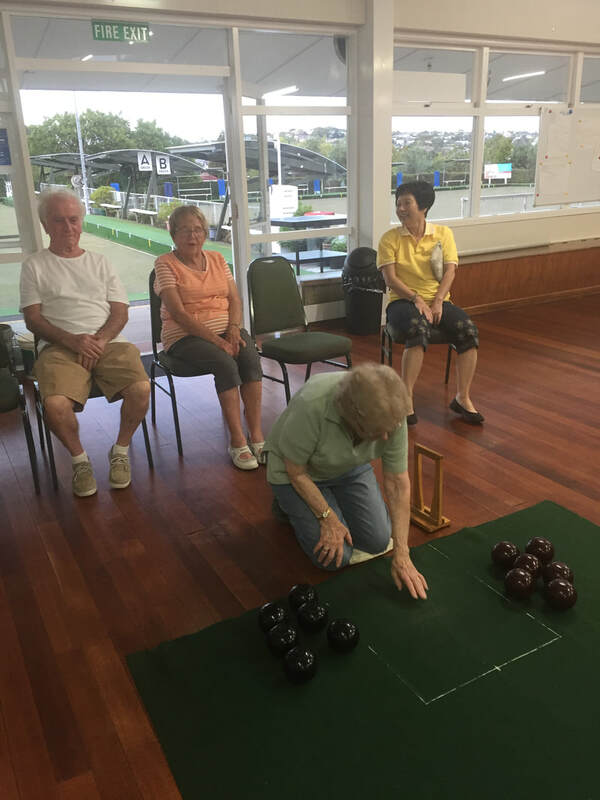 The club, which meets at 7pm on Tuesday evenings at the Blockhouse Bay Bowling Club, 33 Terry Street, are an enthusiastic bunch who are keen to share their love of the game with more players. To encourage new folk to come along, the club has decided to waive the subscription fee for new members in the first year. The evening, which costs just $3, consists of three games of bowls with a break for a cup of tea, with members happy to share their expertise with new players who want a bit of coaching. They also have tournaments throughout the year, with some great prizes. It’s understandable why the club is passionate about sharing the game. “The sport ticks so many boxes”, says Club secretary Ken Hooper. “It’s very social, good exercise, great for keeping your joints and muscles flexible, and there’s a bit of competition thrown in for good measure – what more could you want?” he says with a laugh. To find out more, contact Ken on 021-611-245 or 09-626-5757 or Marion Parkinson on 09-626-6378. Remembering those who served (and died) in wars - and Gallipoli in particular - has come to define part of our national identity. World Wars I and II were a brutal, yet deeply significant chapter in our nation’s history, which had the surprising effect of uniting New Zealanders in a common cause. A great example is the 28th Maori Battalion, which in WWII brought tribes together in a way not seen before, creating a legend of their own. The biggest day of the year for every Returned Services Association (RSA) in New Zealand is ANZAC Day, and Avondale RSA is no exception. Organising the event is a big job. It includes pre and post catering at the club, the march to Memorial Park and back, and the actual ceremony of remembrance itself. Forming in the carpark behind the RSA on Rosebank Road, the parade will be led by the Nafanua Brass Band, down the street and left along Great North Road through the Avondale shops, finishing at Memorial Park, opposite the Hollywood Cinema. The ceremony will include songs, a message from Pastor Edmonds Namburi, a short address from a New Zealand Defence Force representative, and speeches from Avondale College Head Girl and Boy. Following the Last Post lament, a minute’s silence will be observed in acknowledgement of those who died. The National Anthem follows, then the parade will re-form to march back to Avondale RSA for the special ANZAC Day lunch. Everyone is welcome to come to the clubrooms and enjoy a drink, perhaps while reflecting on the meaning of this special day that brings us together as a nation. The club also has a dedicated memorabilia room which is well worth a visit. Editor’s note: In light of the recent shootings in Christchurch we are aware that the notion of ‘war’ is potentially a sensitive issue to many. However, let us not lose sight of our heritage. Let us continue to honour those brave souls who fought and died for the freedom we now are blessed with. Lest we forget. ​Green pancakes were on the menu for dessert at Messy Church on Sunday 17th March – St Patricks Day. Coinciding with the start of Lent, the St Patrick’s Day celebration made for a fun afternoon of games and crafts, including edible shamrocks, writing in sand and creating paper creations, followed by the inspiring story of St. Patrick. St Patrick was born in Britain but was captured by Irish raiders when he was a boy and taken to work in Ireland. There he learned the language as he worked in the fields. God helped him escape through a dream, but eventually he went back to Ireland bringing the Gospel to the Irish people, and later becoming a Bishop. Messy Church finished with a shared meal followed by green ice cream (Goody Goody Gumdrops) and green pancakes, a nod to Ireland’s national colour. The next Messy Church is Good Friday 19th April at 9am, followed by hot cross buns. Kids of all ages and their families are welcome. Iona Scouts - can you help? Scouts cook sausages over their hobo stoves, with leader Gill Bagnall. Iona Scouting Group has expanded rapidly over the past 12 months and as a result are looking to train more leaders to join the team. They are looking for outward-focused people from all walks of life who would like to invest in the lives of the next generation, and to spread the load of Iona’s team of leaders. Perhaps you are at a life-stage where you have some time on your hands and are looking for a meaningful activity. Or maybe you’re a grandparent, or an aunt or uncle, and your family don’t live close by. Involvement with Keas or Cubs or Scouts could fill that gap for you. Scout leadership could suit a young adult who enjoys the outdoors or educating kids. Maybe you are moving into a career such as childcare or teaching and want to have more experience working with kids. Grandparents, do you have a grandchild who would like to join scouts, but their parents are overcommitted? Would you consider bringing them and helping out yourself? Parents are often time-poor, and the commitment of being a scout leader just isn’t practical. But the grandparent generation are ideal. They’ve got the time and the patience, and it’s a really practical way of helping not just the kids, but easing the burden of parenting. You remember how tough that could be? Full training is given so there’s no need to worry about your experience level. Also, there are a wide range of activities in scouts so if you’re not that physically active don’t let that put you off. Leaders with all sorts of skill sets will find a place. Active types might take the lead on the more physical activities, but others might find their niche in a cooking or craft activity. So, what does a Scout leader do? You would be involved in a team who run an activity each Wednesday night for about an hour and a half, meeting at the Blockhouse Bay Community Centre. Activities range from cooking and craft to campfires, badge work, bush walks, and community services like picking up litter. There are also camps from time to time on weekends. If this sounds like something you could get involved in, phone Colin on 021 208 1103 to have a chat.